Ubisoft have delivered some nice content this year, including a deliciously well-kept secret. But I think I'm not alone in being excited about hearing more WiiU news. There are some big hitters in the Ubisoft corner (Assassin's Creed) but a lot of titles surprised me when they were showcased. WiiU gameplay, finally! After the disappointing tech demos of the last E3 we can finally see a game running on the WiiU. We saw some gestures used on the WiiU gamepad reminiscent of the waggle gameplay that accompanied Wii games so it's quite easy to imagine how the gamepad will be utilised in other titles. Looking forward to Nintendo's conference where we'll be able to see more of what the WiiU can offer us. WiiU wants to bring people together with the limbless Rayman. Obviously we can't go without talking about this giant. After a plethora of spin off games extending the lives of Ezio and Altair, we have finally killed them off and moved onto greener pastures. Looking forward to the more open environments despite the greenery being stripped down for the sake of the game mechanics (although it would be amusing to see Conner crawling up trees Mario 64 style). Ezio never did it this good. 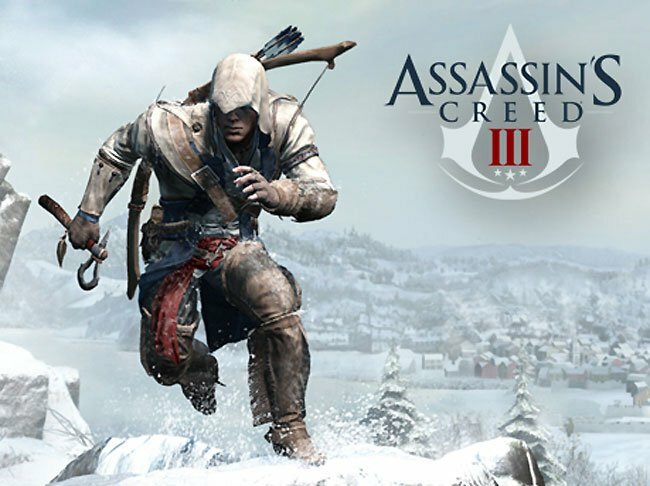 The core of the gameplay will inevitably remain unchanged but will feature many more dynamic kill sequences, bigger set pieces as you fight between warring parties and the animal hunting will add another welcome quest type to the selection of jobs available to the assassins. New IP! Always exciting when we get a good looking new game franchise to consume. While not visually being very exciting, the interfaces were a distinct mix of the in game menus of Dead Space, where the action remains unpaused while giving you an intuitive control hub, combined with the visual style of Assassin Creed's virtual reality tearing-and-bleeding effects. All courtesy of the Super Hacker App on his iPhone. It seems as if the protagonist is a super hacker of some sort and able to cause mayhem with any technology in the vicinity. In the gameplay demonstration they showcased the character Aidan Pearce causing peoples phone signals to be blocked, scanning peoples identities, eavesdropping on phone calls and also wreaking havoc with car traffic light signals to cause a nasty smash up. Not sure how far this game will go but so far it reminds me of the Hitman franchise, murder and espionage but with a large dosage of tech geekery. Definitely one to look out for! - Far Cry 3. Another FPS, but has the niche of tigers as weapons, more bows, and tripping balls. - Aisha Tyler being a high and highly annoying hostess. The banter was awkward and embarrassing.